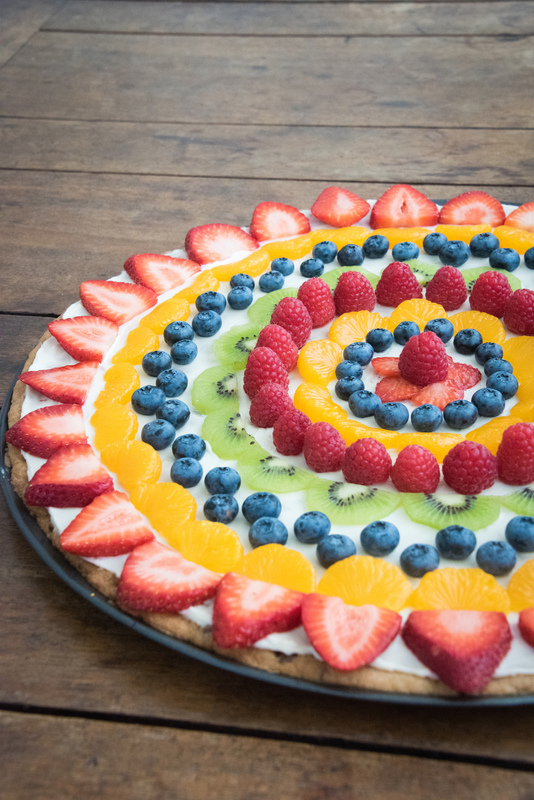 This fruit pizza is easy, festive and very adaptable. 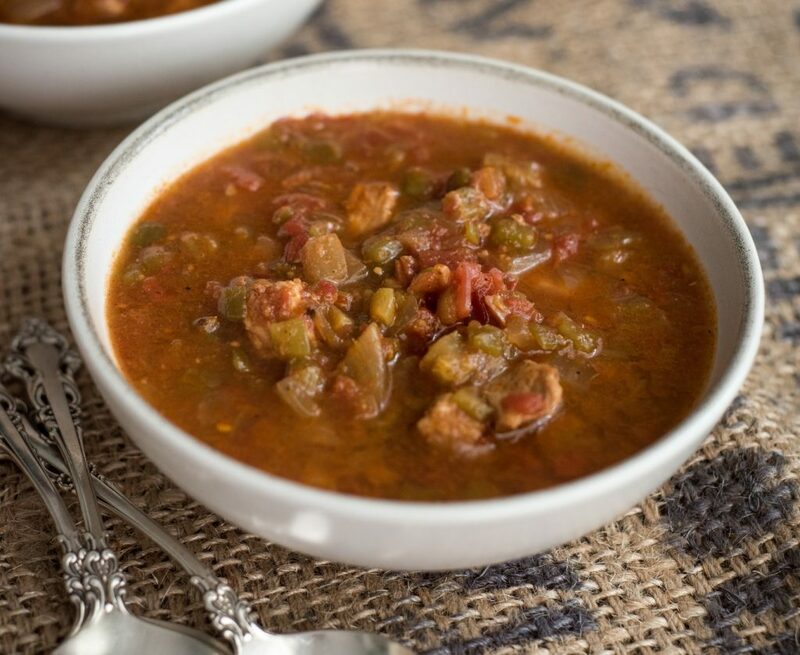 Trish Olson (Mission, Indianapolis) has made her crowd-pleasing recipe for many parties and large gatherings in the community. She says the recipe was inspired by one from her mom, Anne Brewer (South Bend). Once, when Trish and her siblings were young, Anne made a fruit pizza for her family to celebrate the resurrection after an Easter vigil service. The kids insisted on making it a tradition for every Easter vigil, so it stuck. Anne made her fruit pizza with a sugar cookie crust and sprinkled it with watered-down jam. Trish adds chocolate. She makes a chocolate chip cookie crust and drizzles chocolate on top. The dessert can be made on a round pizza pan or a rectangular baking sheet. Trish adapts a Martha Stewart cookie recipe, but you can use your own favorite recipe or a premade cookie dough. Tip: If not serving immediately, avoid fruits that brown over time. Berries, kiwis and mandarin oranges all work well. 1. Preheat oven to 350 degrees. In a small bowl, whisk together the flour and baking soda; set aside. Combine the butter with both sugars; beat with mixer on medium speed until light and fluffy. Reduce speed to low; add the salt, vanilla and eggs. Beat until well mixed, about 1 minute. Add flour mixture; mix until just combined. Stir in the chocolate chips. 2. Spread cookie dough onto an ungreased cookie sheet or pizza pan, about ½ inch thick, and bake 10 to 15 minutes, making sure not to overbake. It should be a soft crust. 3. When crust is completely cooled, mix cream cheese, powdered sugar and vanilla well and spread on top. 4. Decorate the pizza with sliced fruit, creating your own design. 5. For chocolate garnish, place ¼ cup chocolate in microwave. Heat for 30 seconds, then stir. If not completely melted, heat for additional 15 seconds and stir. Repeat until melted, then drizzle on top of pizza.